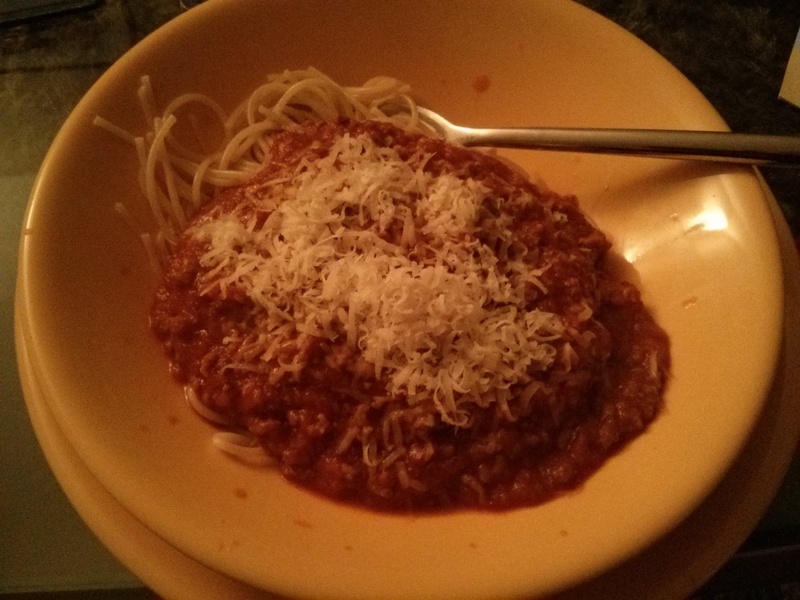 Ok so you use the Bolognese from my previous post, plus the following….. 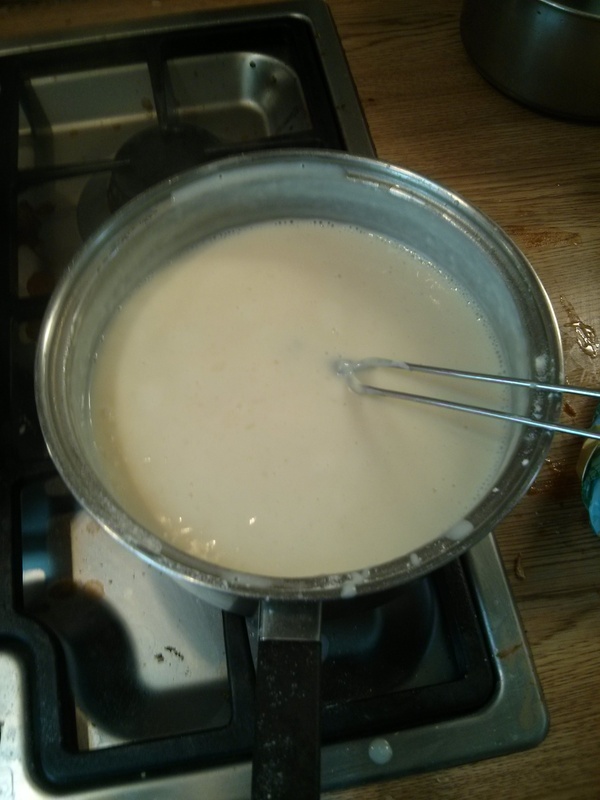 Note – my beloved mother’s instructions on how to make this white sauce were quite vague. Below you have the measurements that the Stork Recipe Book recommends, and of course there are plenty of Roux/White sauce recipes available on the internet. She literally just ‘throws it in’. Sigh. Stir in half the cheese and the mustard. Dip the lasagne sheets in boiled water to soften gently. Bake at 190degrees for 30-40 minutes. I stuck it in the freezer for a couple of weeks and cooked it yesterday – it was delish if I do say so myself! next time I might use slightly more white sauce, it was prefect when just out of the oven but for reheating it got a bit dry. It was my Mam’s birthday on 28th September so I took the trip back to Dublin for the occasion. We had a lovely dinner out with the family, followed by a mini-pub crawl which included crashing my friend Michaela’s hen party, leading to an unfortunately unsuccessful search for a stripper and topped off by a birthday Jaegar-bomb bought by Eddie. Anyway, a good night was had by all, and after a walk on Sandymount strand to let Toby stretch his little dog legs and try to seduce some lady dogs (also unsuccessful) all traces of hangovers disappeared. 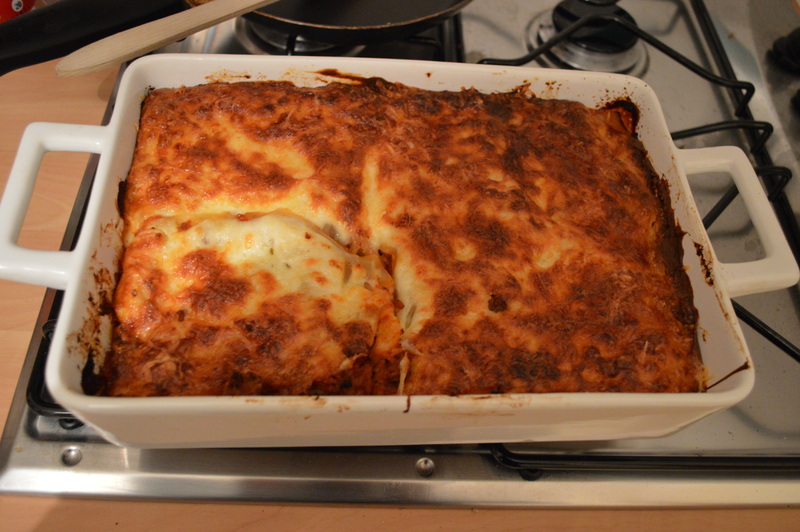 I made dinner on Sunday evening and in return, on Monday Mam kindly agreed to show me how to make lasagne. Basically she makes a massive amount of Bolognese Sauce and uses half of it for the lasagne. I mentioned before that there is alot of guess work in her cooking, including a certain amount of boiling over, forgetting about things etc etc, and yet somehow it all tastes delicious. It’s not fair. This made about 4 servings of Bolognese and 1 large lasagna – it is currently frozen so I’ll let you know how it tastes when it’s been cooked! Chop the carrot, onion, celery and garlic and gently saute with the bacon for a few minutes. Blend the sauce (or if you prefer, blend 1/2 the sauce so that it is still a bit chunky) using a hand blender. Keep some aside to use in other dishes instead of plain tinned tomatoes if you have enough, I guess you can freeze it too! 4. 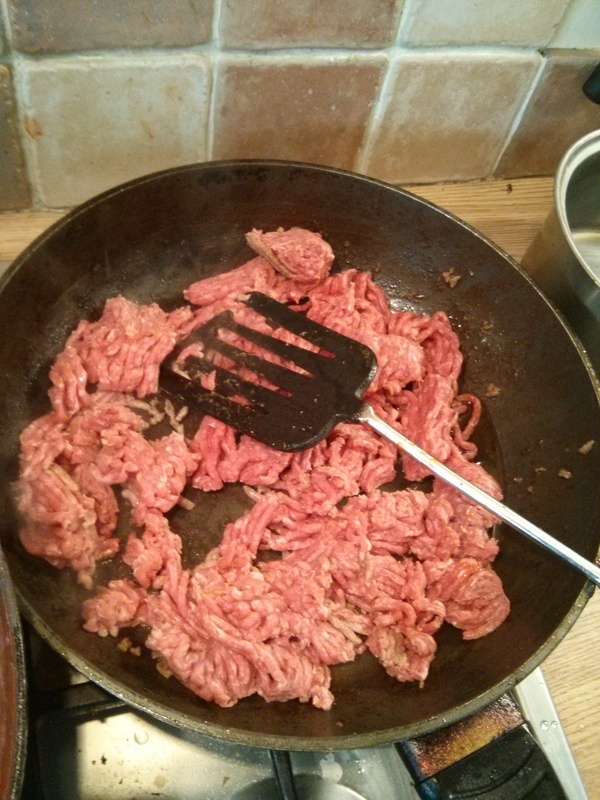 Meanwhile, fry the mince with some tomato puree and add to the sauce along with the red wine, salt and pepper. My first attempt was ok.
It’s hard to get good quality mince in Belgium, it’s usually pure beef (so no fat = not much flavour) or a mixture of beef and pork, so I’m sure with a good quality mince it would make the difference. 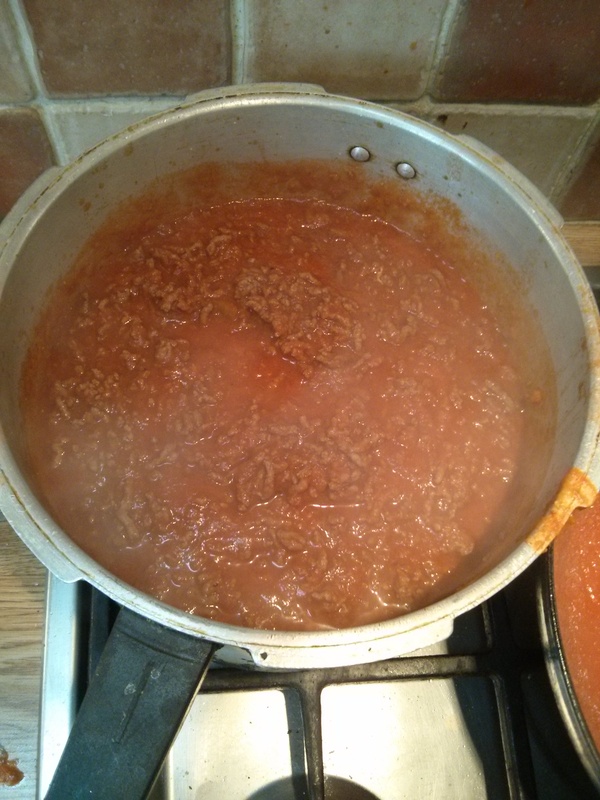 Also I think I added too many tins of tomatoes – I had extra sauce (about 400ml which I froze for future), and when I tasted the sauce before adding the last tin there was a lovely flavour, especially from the chorizo, but that seemed to get last in the end dish. I will play around with it the next time and let you know what happens! My finished product (I have to get better at taking photos of food, this looks a bit sad). And another one that tastes better the day after. I made this 2 years in a row for our annual Ardennes January trip and so far, nobody has come down with food poisoning = result. It’s the only chilli I’ve ever made, our kitchen cupboard consists of a few tins of chilli flavoured beans that Colin continues to buy and never use (ok he used them once, I’ll be in trouble if I don’t admit that), but to be honest I don’t even know how to use them. And this recipe is ridiculously easy to make – I have discovered that once you make the effort to buy all the fancy herbs and spices then it’s so easy to make tons of different dishes. 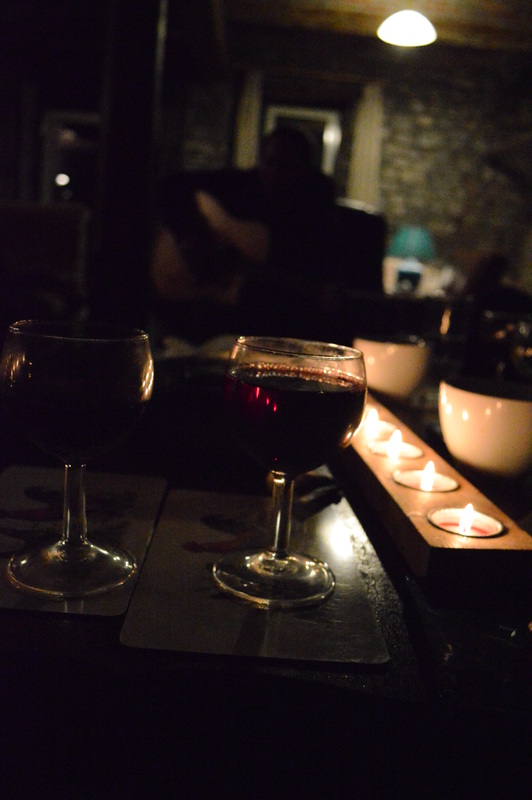 Pour in the red wine and boil for 2-3 minutes. Stir in the tinned tomatoes, tomato purée, fresh chilli or chilli flakes, cumin, coriander, cinnamon, and Worcestershire sauce and crumble in the stock cube. Season well with salt and freshly ground black pepper. Bring to a simmer, cover with a lid and cook over a gentle heat for about 50 minutes to 1 hour, stirring occasionally until the mixture is rich and thickened. Add the kidney beans and fresh coriander. Cook for a further ten minutes, uncovered, before removing from the heat, adding any extra seasoning if necessary. I usually serve with baked potatoes – easiest thing to do for a large group but you could also include with rice, guacamole, sour cream and a big green salad.